Today's journeys can be fraught with cramped seats, overhead storage and lost bags, but once upon a time, travel could be a bit more stylish and the luggage, a bit more tolerant of being tossed and trammeled. The history of vintage bags and trunks reveals a world far different than that found on today's jumbo jets. The story of luggage goes back a thousand years or more. Early travelers carried as little as possible, unless they were fortunate enough to have a wagon or cart to lug their stuff around, which is where the word "luggage" comes from. Wealthy people traveled in groups, usually with servants and horses to carry their possessions. The common people didn't travel very much, or they carried as little as possible in sacks. By the Renaissance, travel and exploration were becoming more common, and thus the need for luggage increased as well. Seafarers and coach riders packed their needs in trunks, which were solid, roomy and could be carried on a shoulder, should the traveler be strong enough. Trunks came in all styles, and for more than a few centuries were the portable closet of choice. The Jenny Lind trunk was named after Jenny Lind, nicknamed the Swedish Nightingale for her beautiful singing voice. She made her debut in the U.S. during the mid-19th century with P. T. Barnum and was adored everywhere she went. Her stylish clothing became all the rage, as did her luggage. The Jenny Lind trunk was "loaf shaped" when seen from the side, and was often decorated with metal bracings, leather coverings and fancy locks. 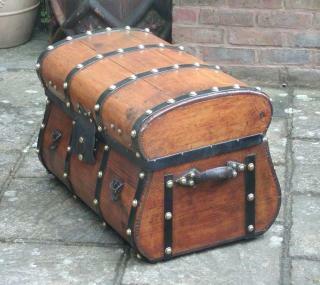 These trunks are difficult to find in their original condition, and should date from before 1870 or so. Expect to pay $500 or more for a restored model, and double that for one in original condition. Steamer trunks were large, flat-topped and made of wood, waterproofed leather, metal frames and strong locks. The trunks were also known as "packers" and could be stacked on top of each other while traveling to or from a ship or train. These trunks were solid and protected a traveler's belongings fairly well, withstanding the dings and bangs caused by busy porters. Steamer trunks bring from $300 and up on the market in good condition. Saratoga trunks were named after the city of Saratoga Springs, NY, the most popular summer resort of the 19th century. Wealthy families from the South and the cities packed up and went to Saratoga for the summer to relax, gamble and promenade on the avenues. The most popular luggage of the time was a Saratoga trunk, or camelback trunk. These wooden, round top trunks came complete with wood and cardboard inserts for personal belongings, and were gilded, strapped and decorated as much as possible. A Saratoga trunk was strong, and it did not allow the porter to stack anything on top of it, so you were sure to see your trunk unloaded before everyone else's. Saratoga trunks can still be found in good or better condition, although a lot of them have been restored. 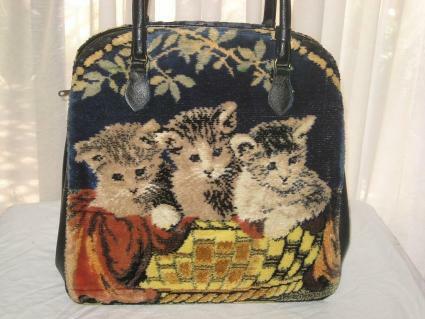 Carpetbags were made from heavy-wearing carpet and could hold enough clothing for a trip. The bags differed from trunks in that bags were carried onto the vehicle, instead of being stored. The antiques listed above gave rise to the later luggage from the 20th century and on. As train, ocean, air and auto travel became more accessible to the middle classes, luggage needs changed. No more would a top-heavy trunk suffice, but only smaller, more modern carriers, such as suitcases. The suitcase was first a steamer trunk, but eventually became associated with smaller, individual boxes for travel. Vintage suitcases are often found made of wood covered in leather, with a leather padded handle and a lock and key. Among the most famous American luggage makers was Hartmann. The company has designed luggage since the 1870s, using new and "exotic" materials such as belt leather, aluminum, and later, nylon. Vintage Hartmann luggage is collectible, especially the famous Skymate suitcase, which even turned up in a James Bond novel; today, expect to pay $125 or more for an example in good condition. Inexpensive luggage was the goal of many American companies, including American Tourister and Samsonite (named after the Biblical hero). Examples from the 1960s and on are common, and usually cost under $25. Abercrombie & Fitch was originally among the most famous stores in the world. The company sold luxury luggage meant for the great outdoors; it was tough, waterproof and could stand up to any type of travel. Early 20th century examples can bring $100 and up. Louis Vuitton luggage may be vintage, but it is hardly affordable. A French firm, and one of the most famous luggage companies in the world, Vuitton luggage commands high prices. There is no lack of vintage luggage for sale, with examples turning up for sale online, at flea markets and in antiques shops. Many people use the luggage for furniture or decor, stacking suitcases atop one another for visual impact. 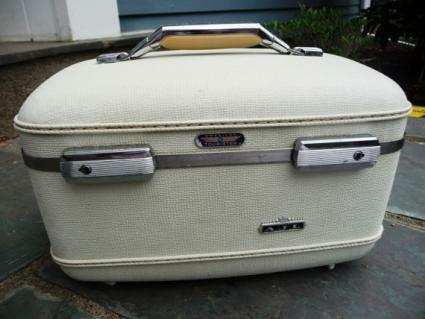 Some vintage luggage was stored in basements, so be wary of mold problems and dampness damage. If the luggage has an odor, try putting fresh (not used) ground coffee in the suitcase, close the case and let it sit for a day for a day or two to remove the smell. Always check zippers to see if they work. Oftentimes the key has been switched out and doesn't work with the lock, so check that as well. Be careful if you want to clean old leather - you may discolor it permanently. Get to know luggage maker's marks so you can tell real from fake pieces. 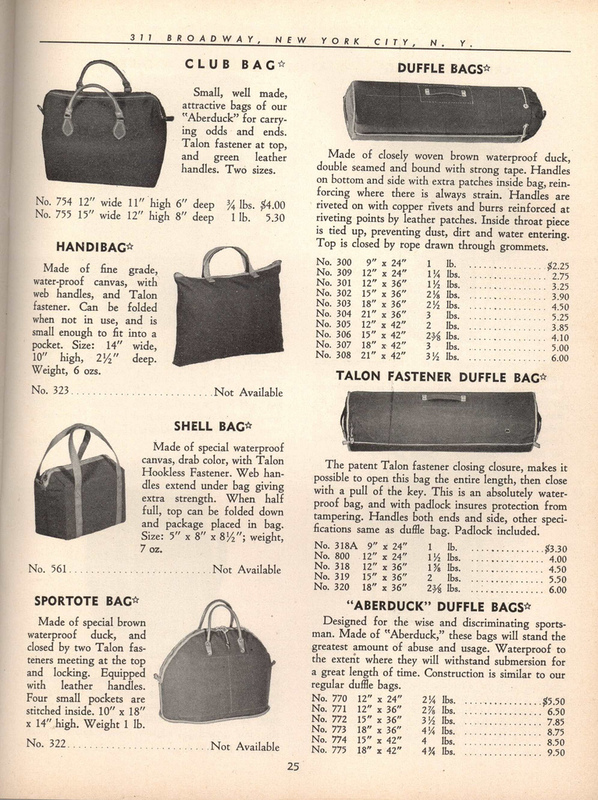 London Vintage Luggage ships orders to the U.S. Their stock changes frequently. Rubylane frequently offers stunning cases, some including original accessories. 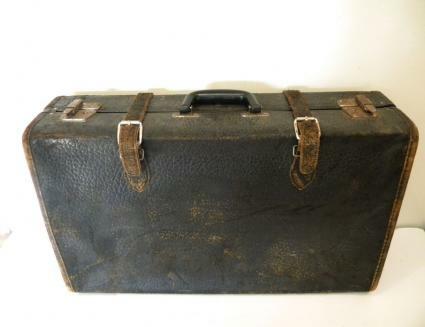 Black Tulip Antiques has leather strap suitcases from around 1900 for $700. Who can ignore a place called The Pirate's Lair? Certainly not when they have a large collection of vintage trunks. Perhaps the best bargains in vintage luggage are the airline flight bags from the 1960s and 70s. Find them online for $40 and under on eBay and other auction sites, and get your retro on. Vintage luggage is as personable as the people who carried it, and today, it adds style and flair to travel. Whether you enjoy owning a Mary Poppins carpetbag or a James Bond suitcase, the sky is the limit when it comes to luggage.